One percent of commuters bike to work, a number that is growing annually. The number of cyclists in New York City has nearly doubled since 2000: the number of cyclists counted at key crossings increased by 186% from 12,756 in 2000 to 36,434 in 2013. New York City has more than 570 miles of bike lanes (up from 318 in 2008), and more are being built. As of June 28, 2013, there were 11,734 “City Rack” bike rack locations throughout the city. NYC DOT designs, builds and maintains bicycle facilities and lanes. Tweets about NYC Bikes Tweets about "#bikenyc"
Miller, Steven. 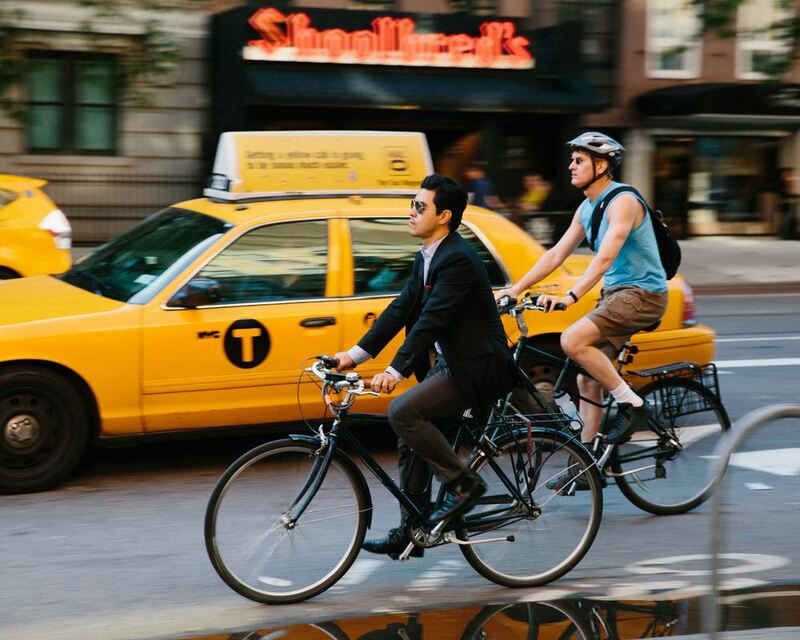 "Census: NYC Bike Commute Mode-Share Hits 1 Percent Threshold," Streetsblog, September 2013. New York City Department of Transportation. “Cycling in the City: An Update on NYC Cycling Counts.” 2013. New York City Department of Transportation, "New York City 12-Hour Bicycle Screenline Count." 2012.